Nothing says happy birthday like a rock god flying thousands of miles to surprise a woman he's never met. But that's exactly what happens to Gabi when she gives her online best friend a flippant invitation to her laid back girl’s night out. She’s everything to him and he’s never laid eyes on her. Gabi means more to Blake than life itself. She’s been his strength, his savior, and the only person who helped to vanquish his demons. So when things between them start to sizzle, he's ready to fight for the future he never thought he would deserve. "Sweet Baby Jesus. I didn’t think the second book would rock me as much as the first, but boy was I wrong." 5 STARS - Insightful Minds Reviews. "Eden Summers has done it again with Passionate Addiction." 5 STARS - I am a Book Addict & Proud of It. 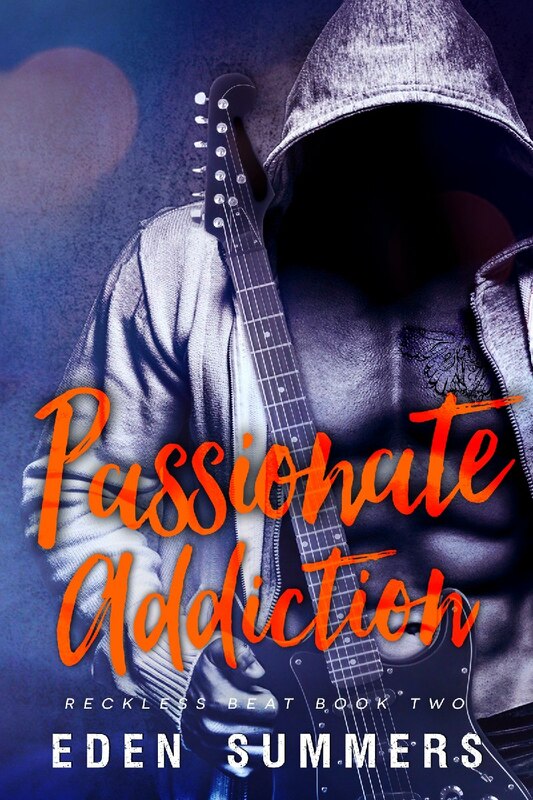 "Passionate Addiction is my favourite book so far in the series and I really enjoy Eden’s writing style. She ties together a powerful plot with witty remarks and produces a scorching story." 5 STARS - Naomi's Reading Palace.